Home › Uncategorized › Porkchop Porktalk – Issue #3! Porkchop Porktalk – Issue #3! 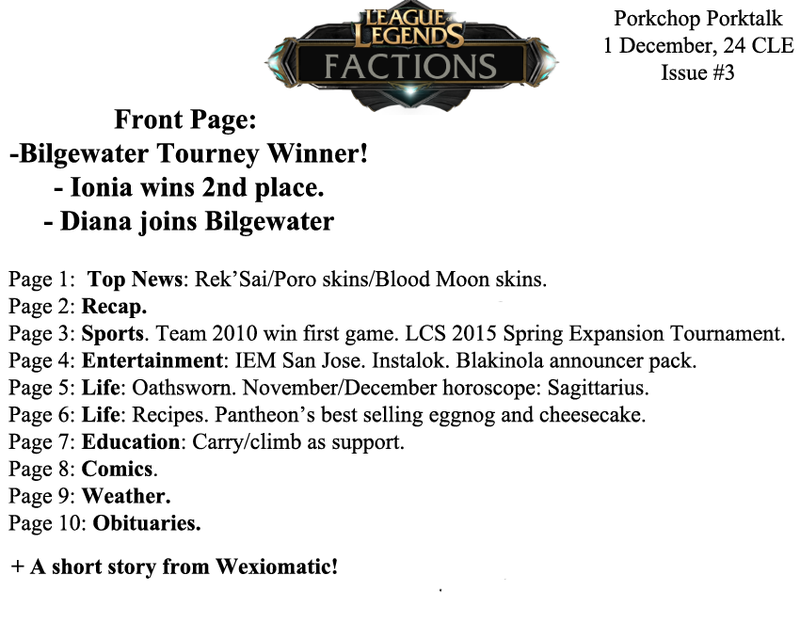 Porkchop Porktalk is a new monthly newspaper talking about out-of-universe League news and some Factions related current events. Originally intended to be a different version of The Summoner’s Herald, sources suggested creating something separate. The point of this newspaper is purely for entertainment value and should not be taken too seriously, with the exception of some Faction related topics and Education column. If you would like to contribute a story or idea, please leave a comment or talk to Sgt Porkchop in the League Factions chat room! ‹ Streaming 101 with OBS/FFSplit.